Home > News & Events > Thank you, Barona Band of Mission Indians! Thank you, Barona Band of Mission Indians! 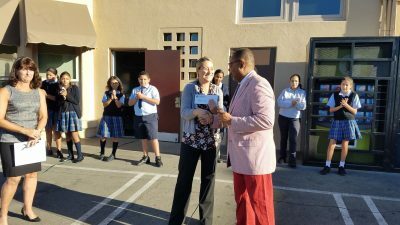 We are so grateful to the Barona Band of Mission Indians for the donation in the amount of $5,000 to St. Raphael School towards the purchase of Chromebooks. 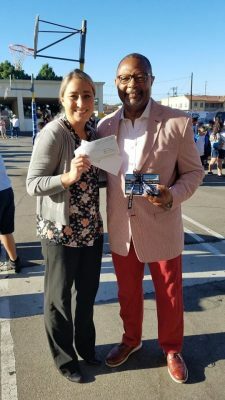 This would not have been possible without the support of Assembly member Reginald Jones Sawyer who came out to our Monday morning assembly to present the check to our student body.